James Lillis è la mente ed il cuore di Black Milk. Il marchio è abbastanza giovane, nasce nel 2009 dalla voglia di James di imparare a cucire. La specializzazione del marchio sono i Leggings ed il primo modello che ha spianato la strada al Brand sono i suoi Leggings Cage. 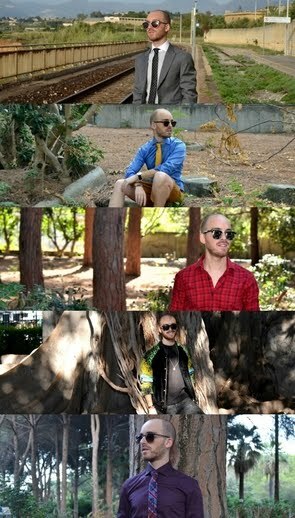 James Lillis is the mind and the heart of Black Milk. The brand is young enough and was founded in 2009 by James wanted to learn to sew. The specialization of the brand are the leggings and the first model that paved the way is the Leggings Cage. La giovane Designer li definisce "Folli", in effetti i suoi Leggings sono diversi da tutti quelli che possono essere trovati nei soliti Stores, le fantasie a volte molto colorate, la riproduzione di galassie lontane, colori fluo, pailettes e strani tipi di intreccio che generano un gioco di "vedo-non vedo" molto interessante sono le loro caratteristiche principali. Sicuramente un Brand non adatto a tutte le ragazze ma soltanto a quella cerchia a cui piace giocare, essere ironica, divertente a volte eccessica e che non vuole passare mai inosservata. The young designer calls them "Insane", in fact her Leggins are different from those that can be found in the usual Stores, fantasies are often very colorful, the reproduction of distant galaxies, fluorescent colors, sequins and unusual types of straw that generate a very interesting game of "see through" are their main features. Certainly not a brand suitable for all girls, but someone who likes to play, to be ironic, funny at times excessive and does not want to ever go unnoticed. Il Brand si è lentamente evoluto ed ha venduto migliaia di Leggings in tutto il mondo diventando così un lavoro a tempo pieno per Lillis. Il marchio è stato cosi mensionato da numerose riviste, Blog, personaggi famosi, dal gionale locale fino a Vogue. Oltre ad i Leggings il marchio ha iniziato a creare anche mini-Dress e costumi da bagno che abbinati con uno short oppure un jeans possono tranquillamente costruire un outfit easy-to-wear. The brand has slowly evolved and has sold thousands of Leggings in the world making it a full time job for Lillis. The brand has been mentioned so many magazines, blogs, celebrities, from local paper to Vogue. Brand has also started to create mini-dress and swimwear that mixed with jeans or a short one can easily build a outfit really easy-to-wear. Oggi finalmente la Black Milk può vantarsi di avere una grande reputazione come uno dei marchi più importanti di Leggings nel mondo. Tuttavia il giovane stilista tende a precisare che molto cose non sono cambiate, lui crea ancora ogni singolo pezzo ed ancora spesso si ritrova sul suo tavolo da cucina fino a mezzanotte per finire il nuovo paio di Leggings. Per acquistare e vedere tutti gli altri modelli andate su: Black Milk. Today, finally, the Black Milk has a big reputation as one of the major brands of Leggings in the world. However, the young designer tends to be very clear that things have not changed, he still creats each piece and still often finds himself on his kitchen table until midnight to finish the new pair of leggings. To buy or just to see more models, please go to: Black Milk. I like them, are very comfortable! wow i love this post!! I love cage leggins, and the animal print!! I want them! I´m going to see his page now! I love this kind of post, because i didn´t know about this brand, but is amazing and different! This is very unique and different. che belle le leggins con la stampa della galassia! Sai dove si possono prendere? perchè le sto cercando da tanto!! Sono semplicemente uniche! @gis thank you honey that's amazing! and that's why i love write post like this one! He is amazing, he's also really nice & writes a great blog called toomanytights. I'm actually selling a pair of my blackmilk leggings on ebay to pay for a swimming costume from them! Great post! Love the swimwear! oh my gosh! these are wild and totally amazing! Thanks for your comment :) Sorry, my english is not very good. xoxo :) see you soon ! Thank you so much for commenting on my blog (doyouspeakgossip.wordpress.com). I liked the idea of following each other. I already followed you in Bloglovin'. Thank you so much for your comment and visiting my blog. Of course I'll follow you! I'm your new follower now. Gorgeous leggings and I love the Hermes bracelet and Gucci outfits on you logo. You've got a good taste! I saw you're from Italy. I go to Italy every year love that country! The most beautiful fashion country. i posted about them some tome ago..they are just awesome!! Such a nice blog! Would you like to follow each other? love,m. Edgy leggings and cool designs. Thank you for your comment! I already follow you for a few months, you can find me in your google friend connect. 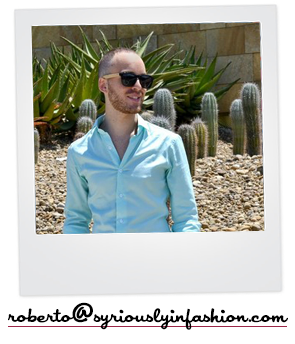 Hi Roberto, Thanks for stopping by, yes I agree we should follow each other :) I love this label, reminds me a bit of Stylestaker - are you familiar with it? thanks a lot! very cool stuff here! me encanta los leggings, buenas fotos, adoro los diseños y los colores. LOVE THE leggings, I'm following you on Bloglovin' now, would love if you followed me too! Wow, beautiful leggins! I didn't know about that brand, thanks for sharing :). I think girls need to have really long and slender legs in order to pull these kinds of leggings off..
goshhh! I love to own a pair of cage leggings like these!! Following your blog since you were so nice to invite me..I've also liked your facebook as Deargirl, mind if you like mine back? Thanks for you lovely comment!! So cool!!! Thanks for comment on my ''baby-blog'', I feel nice for your visit! Kisses from Greece! Nice blog! the cage leggings are amaaazzinngg ! i love them to death ! awesome leggings! the galaxy ones are a faave. oh i love those leggings so amazing! and the leotards are awesome would definitely wear them! omg i love it !!! Bisogna essere delle strisce pedonali però per potersi permettere delle cose simili. Sgambatissimi poi alcuni peggio dei bikini di Baywatch. sento già le urla delle donne davanti alla ceretta inguinale. Voglio il costume con lo squalo!!!!Fantastico!!! sono stupendi,e che colori!..ci vuole un "fisico bestiale" eh! Black Milk has some amazing leggings and leotards! Those caged leggings really take the cake! Ohh la la! Fabulous! I love these! Thanks so much for your comment! I LOVE Black Milk! Wow those are some crazy leggings! Wow, this was so interesting to read!! I love how down to earth the designer seems even though he has scored himself a huge name! Great Post!